On December 21, 2018, The Borough of Bernardsville, New Jersey issued an RFP, seeking “visionary and qualified developers to transform a block in the heart of their downtown“. The Borough’s issuance of this Request for Proposals (RFP) is the continuation of a number of initiatives that relate to the redevelopment of Bernardsville’s downtown. Downtown Revitalization Committee: A small group of citizens was appointed by the Borough Mayor to create the Borough’s Downtown Revitalization Committee (the Committee). As part of its ongoing work and public outreach, the Committee identified redevelopment of Quimby Lane as a core component of their overall strategy. This area was identified based on its central location, the lack of extensive improvements, and the presence of a considerable publicly-owned parcel that is ripe for redevelopment. Recent Zoning Amendments: As part of the Borough’s larger affordable housing compliance strategy, the zoning along Quimby Lane was amended to increase overall building heights and residential density. 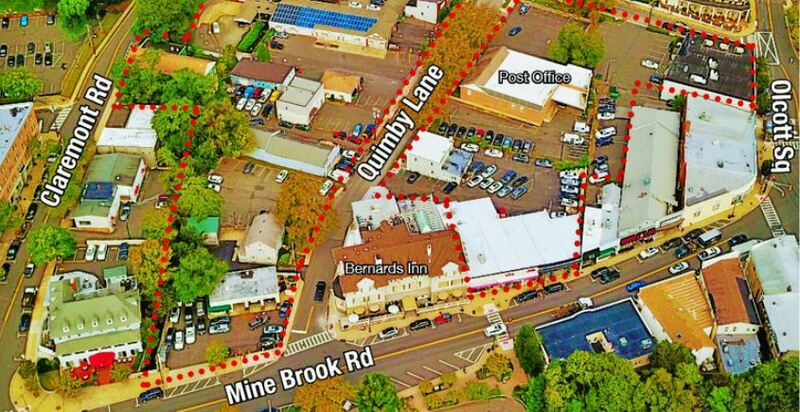 The Borough now seeks to refine the zoning amendment to insure a redevelopment of Quimby Lane that creates a vibrant restaurant and retail space, exemplary design and signage, weekend and day time family activities and increased tax revenues. Respondents to the RFP will be invited to comment upon changes to the current zoning as part of their submission. Comprehensive Master Plan: The Borough of Bernardsville adopted its master plan on September 28, 2000, amended the plan four (4) times, and re-examined it in 2006 and 2017. The latest 2017 re-examination reviewed several major planning and zoning issues characteristic to B-1 business zone in the downtown. Such issues and goals, described below, will be advanced by the redevelopment of Quimby Lane as contemplated by this RFP. Resident and Businesses: In the first months of 2018, the Committee issued a survey to residents and businesses requesting input on the state of the Bernardsville downtown and suggestions for improvement. More than 1100 families participated in the survey generating more than 4500 comments. The survey was followed by a town meeting to review the results and brainstorm ideas for improvement. Importantly, many survey respondents raised the issue of redeveloping Quimby Lane. The survey results are provided in more detail below. Building from the momentum of these activities, the Borough seeks development proposals for the public and private properties that comprise Quimby Lane to create a totally new and reimagined Quimby Village. The process described in this RFP envisions that one or more developers will utilize the materials included herein to create their own concepts for the redevelopment of all or part of Quimby Lane. Proposals due by April 1, 2019.